Going to a Cubs game? 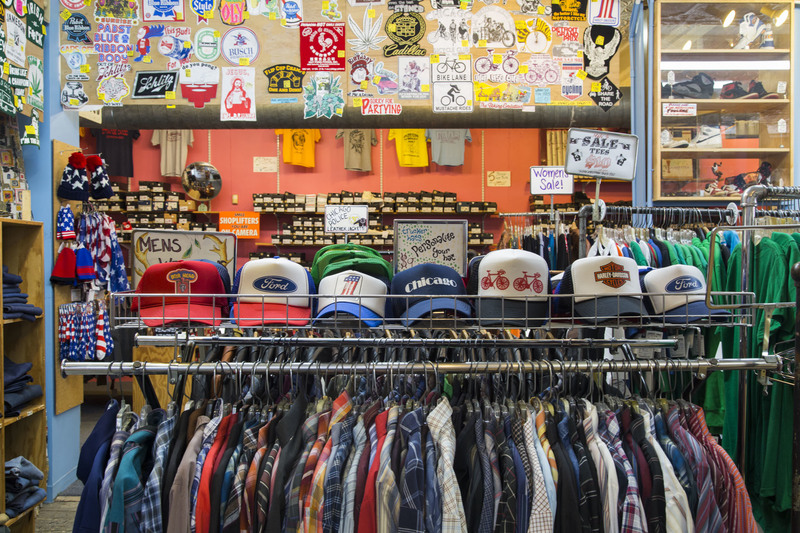 Don't leave the friendly confines of Wrigleyville without checking out these shops. 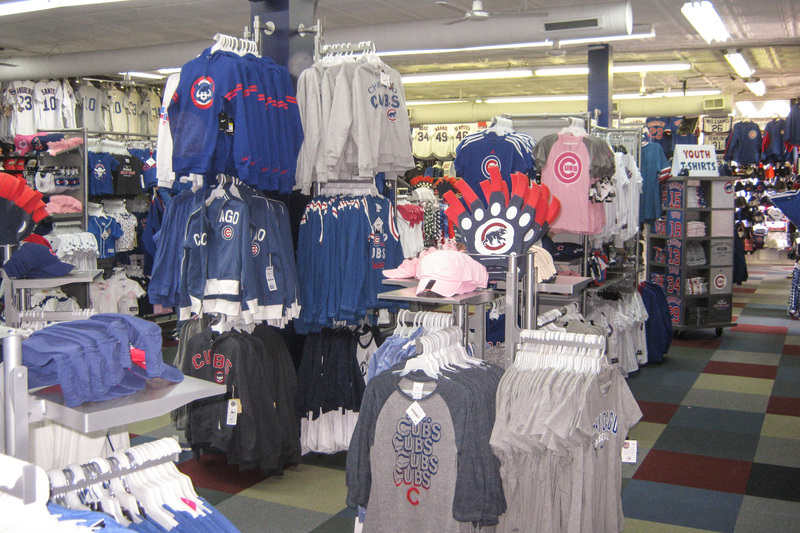 Shopping in Wrigleyville—isn't it mostly just sports fan shops there? Well, yes. 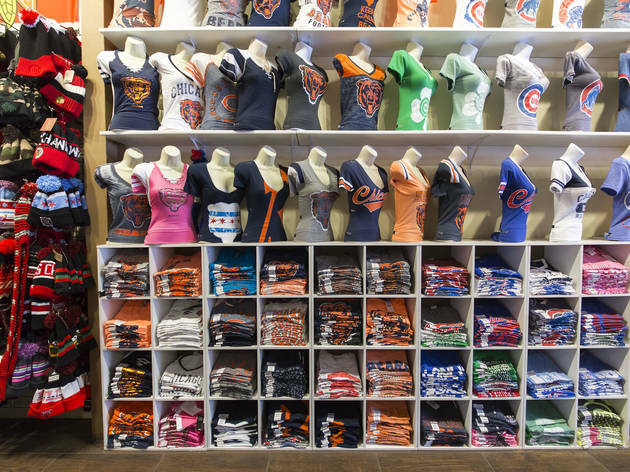 But the home of the Chicago Cubs and more sports bars per block than any American city (we're guessing) also boasts some hidden shopping gems, including, yes, some fan shops. 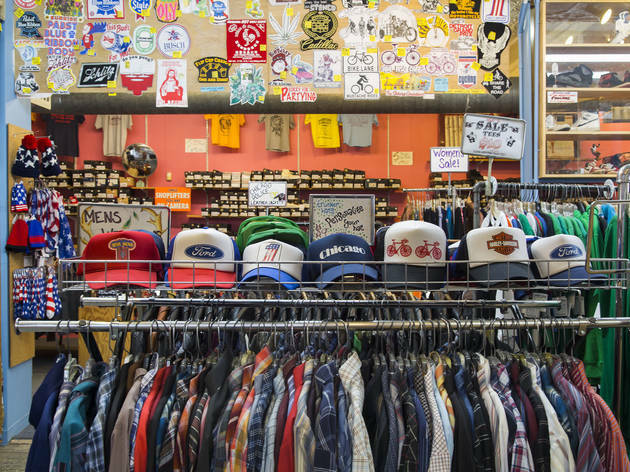 So chug that overpriced craft beer and go on a tipsy shopping spree at our five favorite Wrigleyville stores. This popular Chicago chain with a Wrigley Field outpost caters to tourists and locals alike. 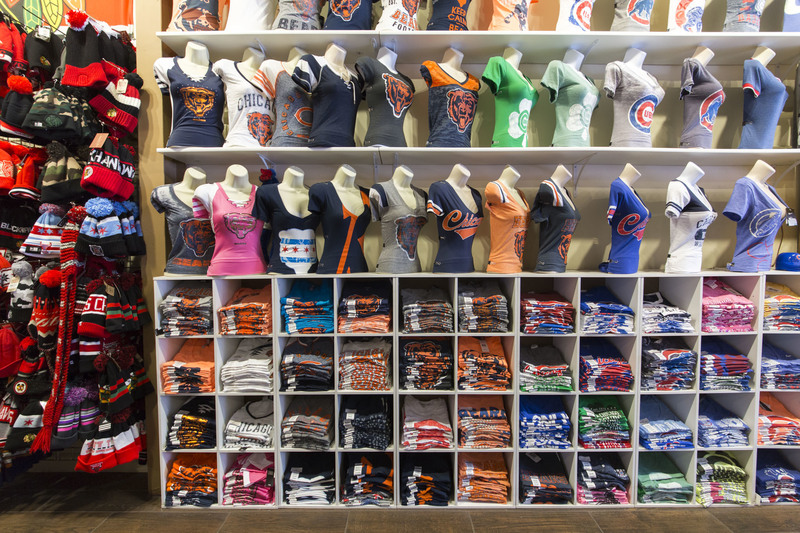 It's stocked with gear to cheer on all of your favorite teams—Cubs, Sox, Bulls, Bears and Blackhawks—as well as accessories like iPhone cases ($25) and beanies ($40). What really takes the cake, though, is the store's same-day delivery service when placing an order over the phone. This third-generation, family-owned business opened its first shop on the South Side in 1944. 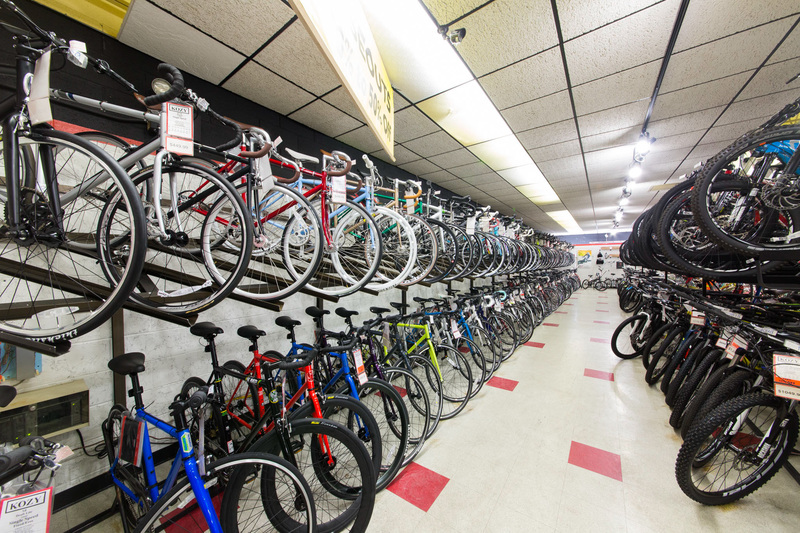 Since then, it's expanded to four locations, offering a wide variety of bikes for casual to serious cyclists: road, hybrid, comfort, mountain, triathlon, electric, folding, commuter, cyclocross, cruisers, womens, bmx and kids. 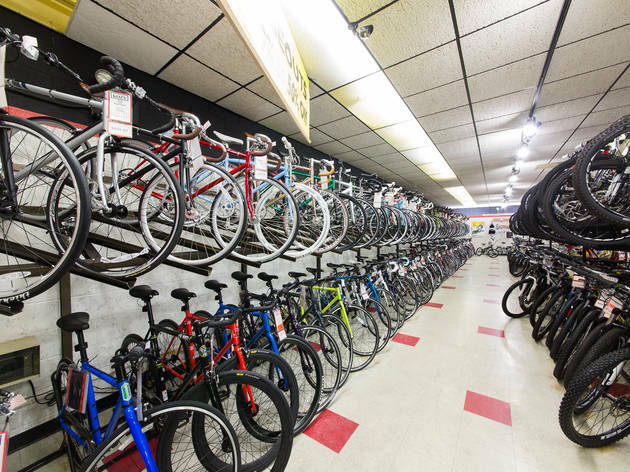 Brands include Cannondale, Colnago, Dahon, DK, Electra-Townie, Giant, GT, Schwinn and more, starting at around $350 and up. Kozy also sells helmets, accessories, shoes, parts, tires, wheels and car racks. 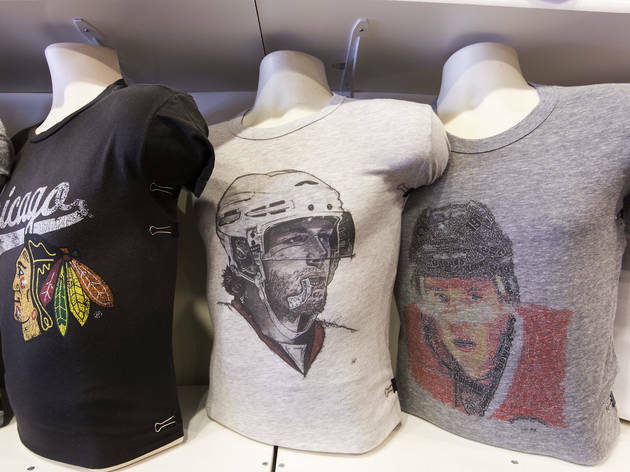 This quirky, eclectic shop has become a Chicago staple for custom T-shirts, fun (unlicensed) Chicago sports gear, and other strange merchandise you'd never imagine existed, but quickly discover you can't live without. Like, "I need a beer right meow" kitten shirts for St. Patty's Day. Or a Joakim Noah graphic tee. And Saved By The Bell coin purses. We're done here. 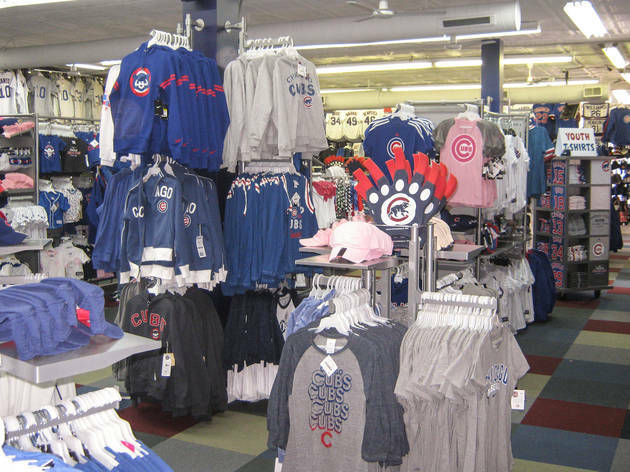 Located conveniently accross from Wrigley Field, this sports clothing store has all the gear you need to stock up before the big game. 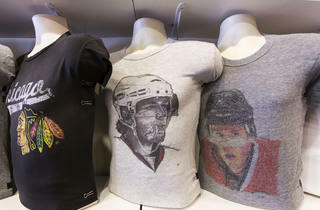 Not just limited to Cubs gear, the shop also has plenty of options for Bulls, Bears, Blackhawks, White Sox and Fire fans. It also offers super-speedy custom jersey services—perfect for those pesky family birthdays that always seem to sneak up on you. 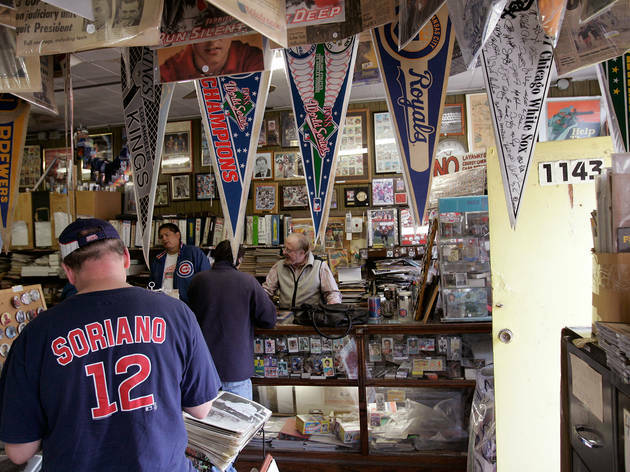 Standing on Addison Street, just down the way from Wrigley Field, stands Yesterday, an old-school shop in a half decrepit building, older than Wrigley Field itself. That's just how owner Tom Boyle likes it. The man doesn't have an email address, let alone a computer in the store. Yesterday only accepts cash and checks (yes, remember those?). Why go to all this trouble? 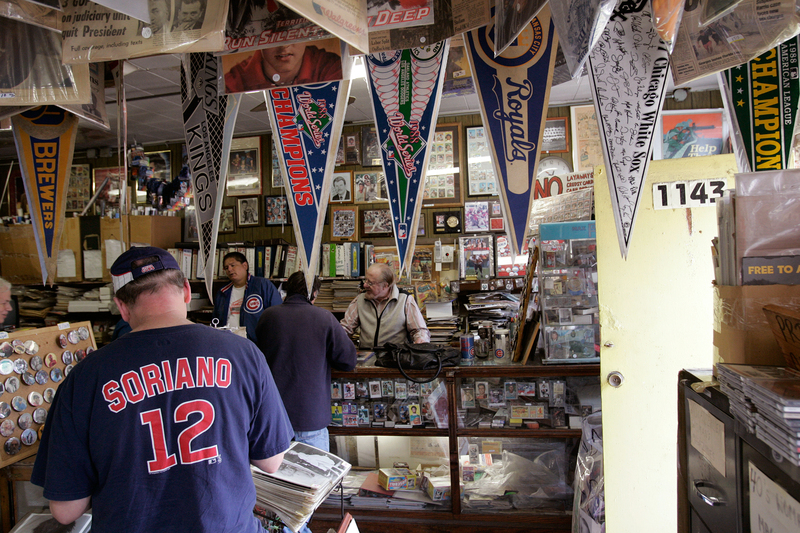 Boyle, an avid collector, has filled his shop to the brim with comic books, magazines, newspapers, board games, baseball cards, and old Cubs memorabilia dating far back. Trust us, the trip is well worth it.